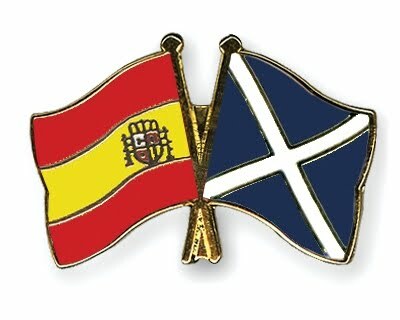 A Scotsman in España - Erasmus 2011-2012: 7 days to go! Well I thought it was about time to post another update since I only have one week left until I leave Scotland for Murcia. I'm so excited to start living in Spain but I'm also very scared and quite saddened but the thought of leaving my family and friends. I am comforted by the fact that I'll have a few people coming to visit me throughout the year and everyone is only a Skype call away. I have my list ready for everything I need in my suitcase, got my new specs and sunglasses and I have phone numbers to call when I arrive in Murcia. All that's left to do is to pack!